Dive right in – this property is only a 4-minute walk from Metsitsim Beach! 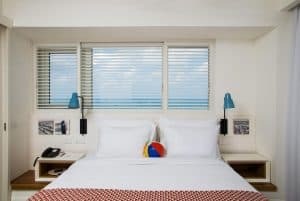 Set in Tel Aviv’s port area, Yam Hotel is a modern Boutique Hotel with free WiFi, just 200 m from the beach promenade and 5 minutes’ walk from the closest beach. The air-conditioned rooms offer a flat-screen TV with cable channels, a minibar, and an electric kettle. All have a private bathroom, complete with a hairdryer and complimentary toiletries. 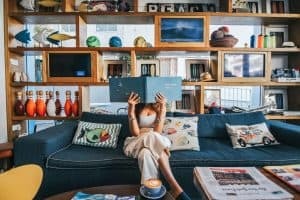 Free bicycles to discover Tel Aviv by bike are provided, and a 24-hour front desk is available. 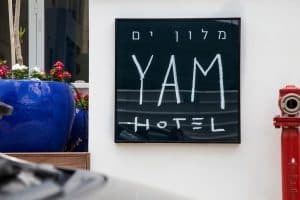 Several restaurants and bars are within 150 m.
HaBanim Garden is 500 m from the Yam Hotel, and Old Jaffa can be reached in 15 minutes by car. Ben Gurion Airport is 24 km away.